Richard at Flickr posted this amazing photo of what appears to be “Land’s End“. 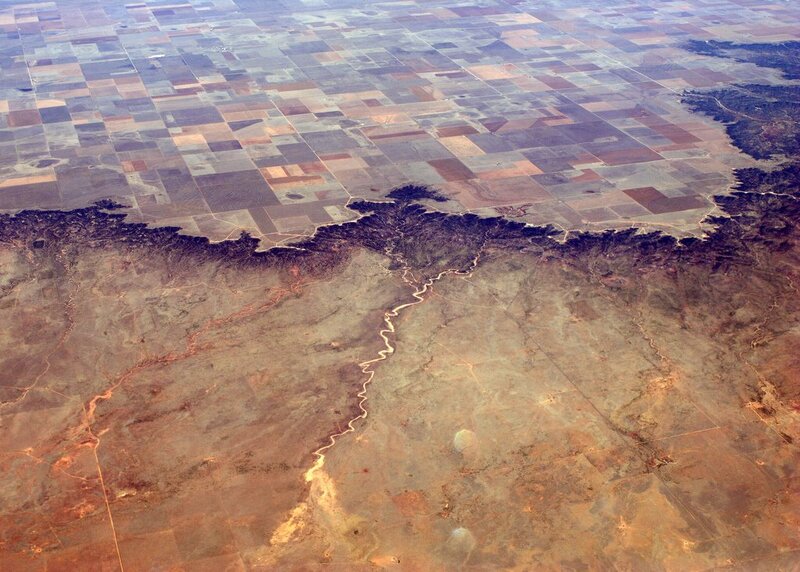 The shot was taken on a commercial flight and of eastern New Mexico, about 10 miles north of the town of Grady. Map here. (Satellite shot appears inverted because the photo is looking south). Check out various sizes of this amazing picture here.